In this article we will discuss Difference between Coordination and cooperation with its comparison. 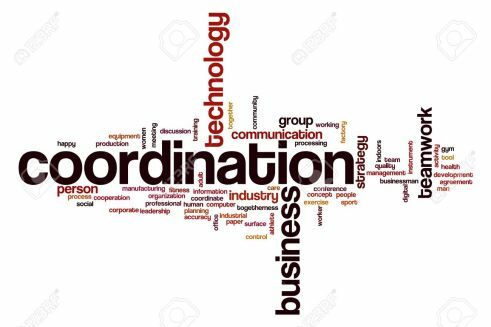 Coordination is also a very important function of an organization to perform various activities and it is not only important function but also an essence of Management. According to Mooney and Reelay, “Coordination is orderly arrangement of group efforts to provide unity of action in the pursuit of common goals”. According to Charles Worth, “Coordination is the integration of several parts into an orderly hole to achieve the purpose of understanding”. Generally coordination means bringing together activities and resources of an organization and brings harmony in them. The word cooperation means “to work together” ,and it is a process in a organization which involves working together for an common goal and its is helpful to organization to improve their workings and integration. It refers to voluntary efforts of individuals to work together and help each other and it has narrow scope. It is important function in organisation and it depends upon coordination , without coordination it is incomplete. Difference between Coordination and cooperation with its comparison. Meaning Coordination is also a very important function of an organization to perform various activities and it is not only important function but also an essence of management. Cooperation means a process in a organization which involves working together for an common goal and its is helpful to organization to improve their workings. Interdependence Coordination is interdependence with cooperation because it is incomplete without it. Cooperation is also depends upon coordination because it is meaningless without it. Scope Coordination has wider scope. Cooperation has narrow scope. Relations Coordination has relation with both formal and informal. It has only relation with informal. So we will discuss Difference between Coordination and cooperation with its comparison. For any query comment below. collaboration vs cooperationcomparison between cooperation and coordinationcomparison between cooperation and coordination in hindicomparison between cooperation and coordination notes for 12th classconcept of cooperationconcept of coordinationcooperate meaning in hindicoordinate meaning in hindicoordinated meaning in hindicoordinating meaning in hindicoordination and cooperationcoordination in management pptcoordination meaning in hindicoordination vs cooperationdifference between cooperation and coordinationdifference between coordination and cooperationDifference between Coordination and cooperation in hindiDifference between Coordination and cooperation pdf pptDifference between Coordination and cooperation with its comparisonDifference between Coordination and cooperation with its comparison in slideshareDifference between Coordination and cooperation with its comparison notes for 12th class for free downloaddifference between thread and process in tabular formmeaning of co-operationmeaning of cooperatemeaning of cooperationordination meaning in hindiunanimity meaning in hindiwhat is coordination in managementwhat is the meaning of cooperationwhich of the following is a key difference between collaboration and cooperation?